Suspect Confessed to Police That He Began Shooting Students ‘in the Hallways’: Absolutely horrifying. I can’t imagine the trauma these young people are still experiencing. How can we take action to prevent this from continuing to be the new normal? You want a gun for legal hunting? I recognize your right to get one. Want a small gun to protect your family? I understand that might be your reality. BUT WHY would ANYONE need an automatic weapon, OTHER THAN to kill multiple people at once? It’s about time our elected officials finally realize that. 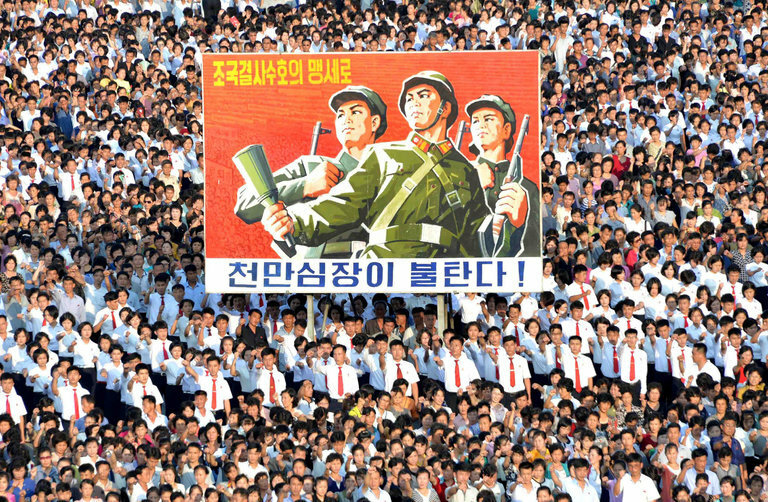 A rally in Pyongyang on Wednesday in support of North Korea’s stance against the U.S.